Happy Halloween!! I usually dress up, but I'm that kind of person that I either go all out or do nothing at all. 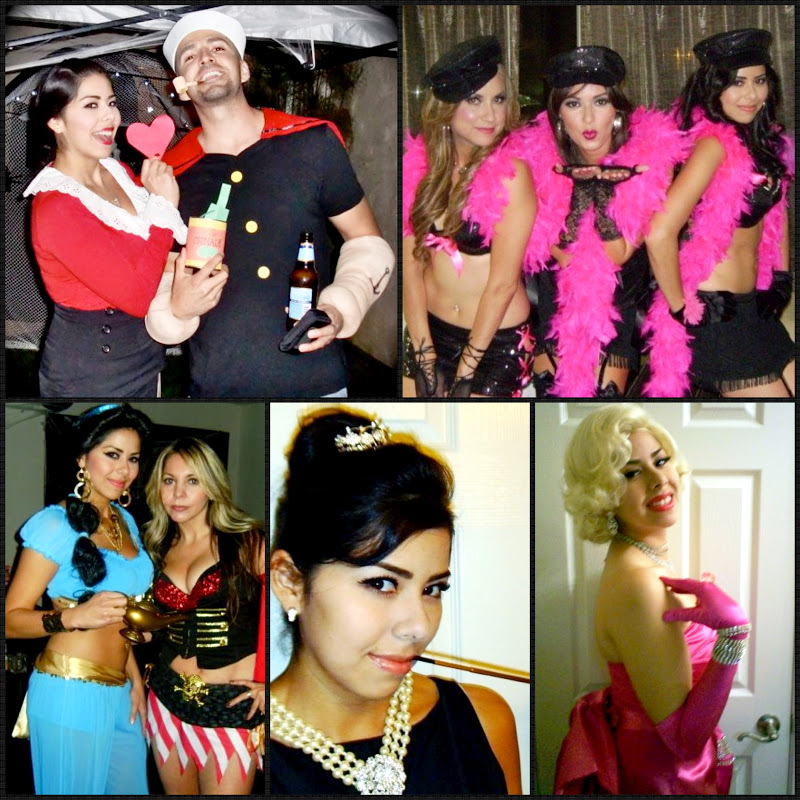 Unfortunately, this year I decided to sit this Halloween out, but you can see my past Halloween costumes here! My family, boyfriend and I made a trip out to the local pumpkin patch to pick out our pumpkins while watching my niece and nephew enjoy the festive rides. 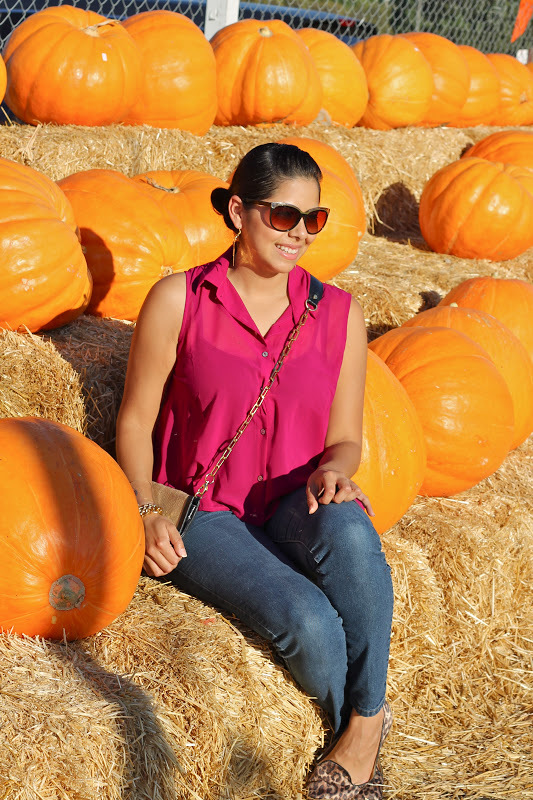 Being surrounded by all of these pumpkins gave me that holiday feeling and made me realize that Thanksgiving and Christmas are just around the corner (yikes!) Time flies, so maybe I should start Christmas shopping already?! Scary thought (no Halloween pun intended). *Thank you to my sister for the pics, she getting good! Hope you all have a Happy & Safe Halloween! love the outfit.great shirt colour. Happy Halloween to you and family!!! Love all your Halloween costumes especially the Diamonds are a girls best friend! lovely photos! i like the pumpkin, great work! pretty pink blouse! 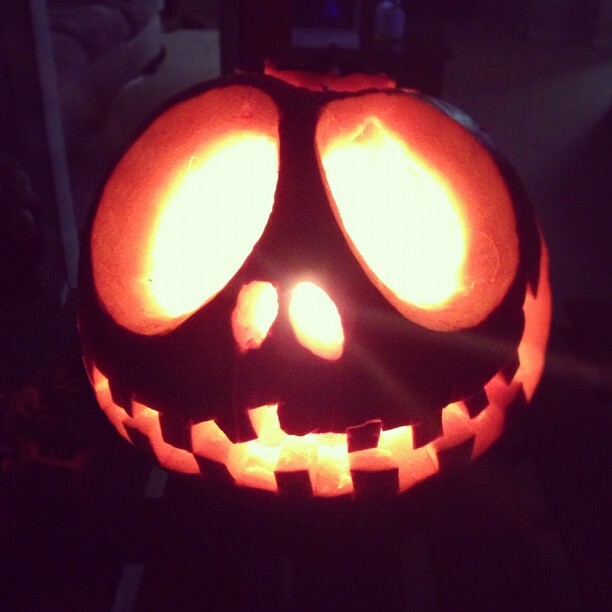 hahah I love the eyes on the pumpkin! 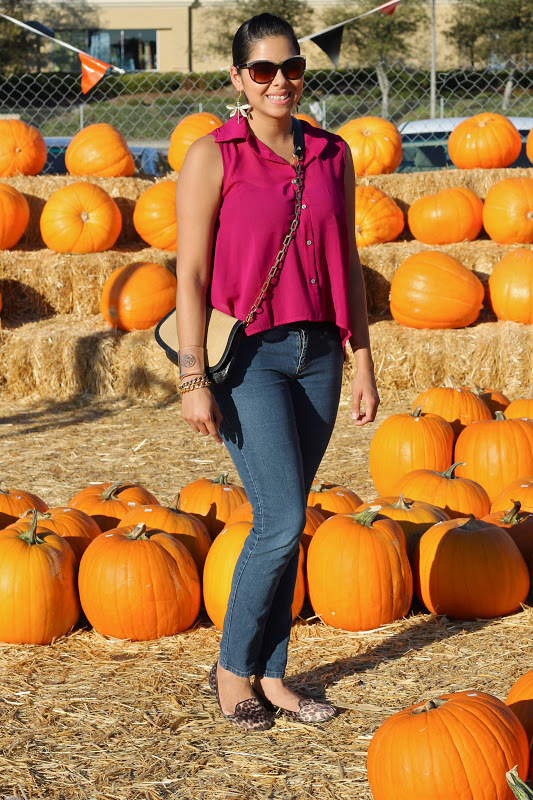 How fun, love all the pumpkins on the background :) really festive. you look very cool and relaxed, your sunglasses gives you that chic look. 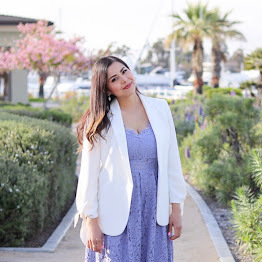 My Mahal Style Video Feature!